The success story of MIMO spans now for over a decade and has revolutionized all the aspects of wireless networks leading to its rapid embrace by the research community, standardization institutes and the industry. Application of MIMO technology to satellite and stratospheric communication systems have only recently begun to be investigated by academia and space agencies. 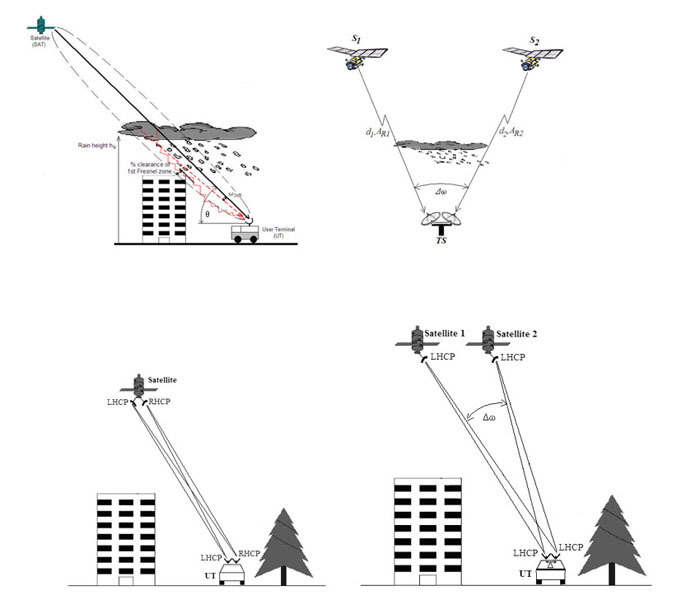 The proposed research activity aims at shaping and enhancing the next generation fixed, mobile and hybrid satellite and stratospheric communication systems through MIMO techniques by contributing to both the theoretical and practical aspects of satellite technology. Another significant goal of the proposed activity is to create a Satellite Communications Network of Excellence in order to strengthen scientific and technological excellence on Satellite Communications (satcom) Technologies in Greece through the durable integration of the research capacities of the participants and having in view setting up in the long term a Hellenic Space Agency. 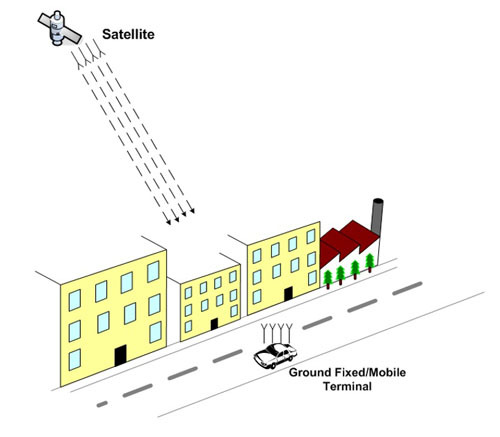 The research areas of the proposal are: a) Physical-Layer MIMO Techniques for next generation satcom and stratospheric systems, b) Multi-antenna terminal design for next generation satcom and stratospheric systems, c) Satellite and stratospheric MIMO radiochannel measurement campaign, d) Satellite and stratospheric MIMO radiochannel modeling, e) Satellite Communications and Stratospheric MIMO end-to-end system simulator and f) Various scenario applications including deep space communications and earth observation links. The expected results are: numerous contributions to standardization institutes (European Telecommunication Standardization Institute (ETSI), International Telecommunication Union-Radio (ITU-R), Digital Video Broadcasting (DVB)), scientific actions (COST), cooperation with European Space agencies (European Space Agency (ESA), German Aerospace Research Center (DLR), French Space Agency (CNES), French Aerospace Laboratory (ONERA), Italian Space Agency (ASI) etc) and numerous publications in the most prestigious Journals (IEEE) and Conferences relevant to Satellite and Wireless Communications and generally to Digital Communications. Derivation of a plethora of valuable results for the design of next generation fixed, mobile and hybrid satellite and stratospheric communication systems. Novel physical layer techniques for increasing capacity (multiplexing gain) and performance (coding and diversity gain). Development of efficient multiantenna terminal design methods. Conduct a state-of-the art MIMO radiochannel measurement campaign for various propagation scenarios. Novel realistic end-to-end system simulators with reference to recent satellite and industrial standards (e.g. DVB-S2, DVB-SH, DVB-RCS, DVB-NGH). A bulk of contributions to standardization institutes (ETSI, ITU-R, DVB), scientific actions (COST) is envisaged. International cooperation with European space agencies (ESA, DLR, CNES, ONERA etc). A series of research articles published in the most prestigious Journals and Conferences relevant to Satellite Communications and Digital Communications. Create and making of a critical mass of resources and expertise in order to set up a Network of Excellence and in Satellite Communications in Greece and, in the long term, creating a Hellenic Space Agency. End-to-end MIMO simulator for fixed satellite communication systems. The high standard research objectives of the proposed activity will firstly enchance the technical expertise of the four university partners that participate in this action giving its members (PhD students, Post-Doc Researchers, Senior Researchers, Lectures, Professors) the opportunity to collaborate with international research centers and personnel exchange, thus forming a satellite network of excellence in Greece. From a societal point of view, the progress achieved may in the long term benefit parts of the population living in remote areas (insular, mountaineous) that depend on broadband satellite coverage to improve their broadband access to the Internet and bridging the digital divide. Moreover, the activity will have a positive impact on standardization bodies such as the European Telecommunications Standardization Institute (ETSI), the Radiocommunications Sector of the International Telecommunications Union (ITU-R) and the Digital Video Broadcasting (DVB) association. The activity will be aligned with similar projects recently initiated by the European Space Agency (ESA) and its results will be published in relevant COST actions, such as the COST IC0802 and COST IC1004. From an academic point of view, the results of this broad research will be submitted for publication to established scientific journals and international conference proceedings, preferably included in the ISI Web of Knowledge (http://www.isiwebofknowledge.com/) catalogue –e.g. IEEE publications. Among the objectives is also the organization of summer schools on wireless and satellite communications. The proposed project directly targets at the creation of a strong and lasting integration of a network of excellence in satellite and wireless communications generally. The Research Teams (NTUA, AUTH, UPATRAS, UNIPI) will coordinate and adapt their activities in research in order to strengthen their complementarity and develop mutual specialisation. They will share common research tools and platforms. They will joint use the research infrastructures (experimental setups), and adapt properly the existing facilities with a view to their shared use. Moreover there will be exchanges of personnel, and opening of positions to researchers from the members of the network.